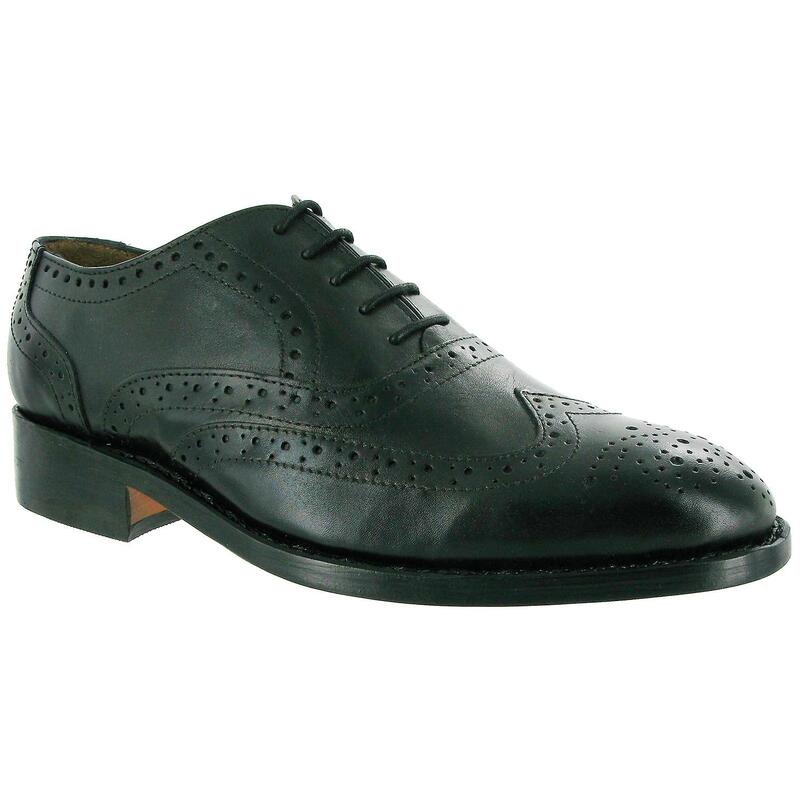 Beautifully crafted brogue with genuine leather upper and lining. Handcrafted with a genuine welt offering quality and durability. Leather sole with a one and a quarter inch heel. Lace up front with five subtly perforated eyelets. Heel stiffener support. Mens dress shoe ideal for smart wear. Lining Material: Other Materials. Outer Material: Leather. Sole Material: Leather.